SAN ANTONIO, TX (May 28, 2012) - The San Antonio Scorpions will face off with the two-time Major League Soccer champion Houston Dynamo in the third round of the Lamar Hunt U.S. Open Cup on Tuesday, May 29 at Heroes Stadium. Kickoff is set for 7:30 p.m. This matchup will be the first time the San Antonio Scorpions take on a team from Major League Soccer. A win against the Dynamo would set up a fourth round matchup at Heroes Satidum with either FC Dallas of MLS or the Charlotte Eagles of USL-PRO (Third Division). The potential match would be played on June 5 at 7:30 p.m. The Scorpions are making their U.S. Open Cup debut this year, which is the oldest soccer competition in the United States. Tickets are still available for the match and can be purchased at https://www.sanantonioscorpionstickets.com/vsHoustonDynamo. The Dynamo currently find themselves in the middle of the pack of the MLS Eastern Conference standings with 16 points, good for sixth place in the conference. With a 2-1-0 record in their new home, Houston remains unbeaten at BBVA Compass Stadium. But the road has been less friendly for the Dynamo, who have just two wins in eight road matches this season. Offensively, Houston has struggled to find the back of the net, scoring 12 goals in 11 games this season. Only three MLS teams (Chivas USA, Toronto FC, Philadelphia Union) have scored less than the Dynamo this season. Forward Will Bruin leads all Dynamo scorers with five goals so far this season. But on the defensive side of the ball, Houston has been solid, allowing just 12 goals this season. Only Kansas City and Seattle have allowed fewer goals this season. Originally the first edition of the San Jose Earthquakes, the current Houston team was dubbed the Dynamo in 2005. This will be first match of the U.S. Open Cup for the Dynamo in 2012. Since becoming the Dynamo, Houston is 2-2 in third round games and has advanced to the semi-finals twice, but never farther. Houston has been one of the most successful teams in the MLS since they started playing in 2005. The Dynamo won consecutive the championships in 2006 and 2007. 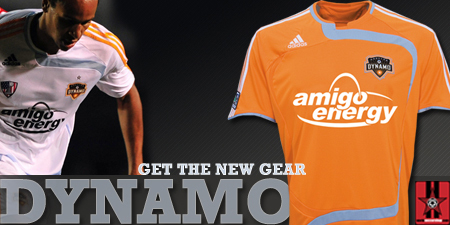 Last year, the Dynamo lost 1-0 to the 2011 MLS Champions Los Angeles Galaxy. They are currently seventh in Eastern Conference. The San Antonio Scorpions extended their unbeaten match streak to six games by earning a draw at Edmonton on Sunday, May 27. The Scorpions overcame an early two goal deficient to earn a crucial point in the road trip, keeping them within striking distance of the first place Puerto Rico Islanders. The Scorpions fell behind when Edmonton midfielder Yashir Pinto scored a goal in the 37th minute off a header from well-crossed ball from Shaun Saiko. Saiko scored for the Eddies in the 54th minute as he blasted a shot past the Scorpions keeper to push Edmonton's lead to 2-0. San Antonio finally got back into the game off a Josue Soto goal in the 61st minute, who delivered a strike from just outside of the box. The Scropions never gave up and Aaron Pitchkolan earned his second goal of the year, knocking in a free kick from Hans Denissen with a header to tie the game at 2-2 with less than 10 minutes to play. The Scorpions have been one of the stronger defensive teams in the league this season, allowing just one goal per contest and posting four shutouts this season. San Antonio is third in the NASL in goals allowed this season (9), allowing just over one goal per contest. Daryl Sattler is 4-1-0 this season as a starter in NASL play and has only allowed three goals during that span for the Scorpions to go along with three shutout performances. His 0.60 goals against average is among the best of all NASL goalkeepers. Scorpions Head Coach Tim Hankinson will face a couple of his former players in a coaching battle. Houston Dynamo head coach Dominic Kinnear and assistant coach Steve Ralston both played under Hankinson when he coached the Tampa Bay Mutiny in the late 90s and early 2000s. Although this will be the Scorpions' first-ever match against an MLS team, there is no lack of MLS experience from the Scorpions. Seven players on the current San Antonio roster have played for various teams in MLS. Defenders Greg Janicki, Blake Wagner, Ryan Cochrane and Wes Knight, midfielders Matt Gold and Kevin Harmse, and forward Pablo Campos all played with MLS teams prior to coming to San Antonio. Cochrane played in Houston's inaugural MLS season in 2006 when the team originally moved from San Jose and played there until 2007. Harmse also had a brief stint with Houston in 2010, but never played due to injury. The Lamar Hunt U.S. Open Cup is the oldest cup competition in United States and is among the oldest in the world, beginning action in 1914. The tournament is open to all affiliated amateur and professional teams in the country, and U.S.-based NASL teams will be competing for the first time ever in 2012. This year's edition of the U.S. Open Cup, which features teams from professional and amateur level soccer in the United States, features a modern era record 64 teams that includes all U.S.-based MLS, NASL and USL PRO teams for the first time ever. The first four rounds of the tournament will take place in back-to-back weeks from May 15 all the way through June 5. The quarterfinals will be held on June 26 and the semifinals are set for July 10. The tournament final will be played on Aug. 7 or 8 and the winner of the tournament earns a CONCACAF Champions League berth. The Seattle Sounders of MLS have won the tournament each of the past three years and defeated the Chicago Fire in the U.S. Open Cup Final in 2011 by a score of 2-0. The Scorpions will return to NASL play this weekend when they face the defending NASL-champion Minnesota Stars FC on Saturday, June 2 at Heroes Stadium. San Antonio sits just one point behind the second-place Stars, and could potentially jump to the top of the NASL table with a victory. For those of you can't make it to San Antonio for the match, you can listen to it on Sports Talk 790 in Houston - Click here for the online stream for Sports Talk 790.